The most important aspect of your new house lies on the strength of its foundation. Nevertheless, the interior and exterior appearance also plays a big role in how much you and your visitors will come to see and enjoy your humble abode. As such, when it comes to choosing a painter for your house, you should ensure that they will be able to enhance the structure rather than bring it down. Listed below are 5 of the most common mistakes that people make when they hire a painter. While most painters will be content in providing homeowners with simple quotation that includes the materials to be used as well as the length of time that it will take to finish a project, a smart homeowner would require a more detailed quotation. It is important that you take the time to ask for a detailed written quotation that you can refer back to in case any untoward incidents or conflicts happen in the future. Though you might not be aware of the actual physical labor that goes into painting your house, you should at least have working knowledge of the areas and items that will be included in the project. Some of the most important details that you should ask for in a quotation are the steps included in preparation, the type of materials used, the number of coats applied, and the type of priming used. Having working knowledge of the project will safeguard you against any shortcuts and any unscrupulous cost-cutting on the painter’s part. While you might think that painting a wall or painting a ceiling is a simple project that anyone with a can of paint can do, it takes a certain type of skill and dedication in order to execute a perfect paint job. 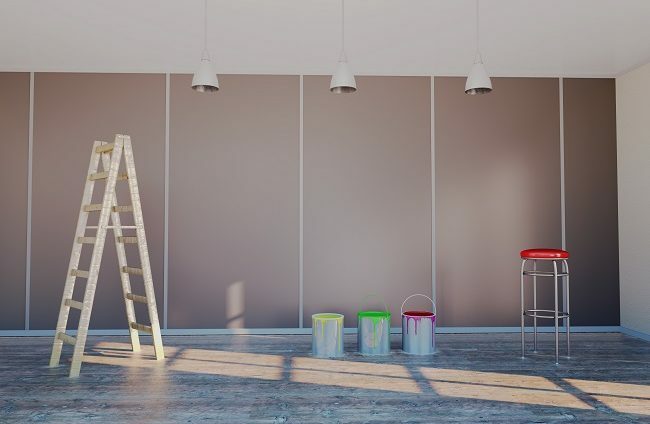 Though your local handyman can boast of painting your walls while also fixing your pipes and reupholstering your sofas, it is not likely that he can do a do the job much better than a professional painter can. A professional painter has both the skill and the knowledge to execute the job without wasting any time or resources. Painting is an art regardless of whether it is done on a canvas or on your walls. Therefore, you would want to hire a true craftsman who can deliver a fine job that you can appreciate for many years to come. A big name company would have enough money to spend on promotions and ads, but these empty jingles do not always translate to actual painting skills. Therefore, instead of going for the most prominent names out there, you should ask your friends, neighbors, or relatives about their recommended painting companies. This way, you will be able to obtain direct and honest feedback about the type of work that you can expect from your laborers. Likewise, while a smaller company may not be well-known in the interior and exterior industry, they are still more likely to provide better service than their bigger name counterparts. After all, they will be committed to giving great service to their smaller list of clients so you will actually be treated as a valued customer rather than a mere number in a long list of clients. Though you would naturally want to get the best possible deal out there, you should not disregard the character of the person or persons who will be working inside your home and within close range of your family. Likewise, there is not a significant margin between the prices that different painting contractors will give you. Therefore, it is the wiser choice to find a contractor that you get along with and would be more than willing to let inside your house. The best way to gauge the character of your contractor is by evaluating the experience and service that they provide before they even make it inside your house. Ask for a detailed quotation and ask numerous questions beforehand. If they can give you a pleasant experience and patiently answer all of your questions, then there is a higher probability that they will also be as accommodating and professional once they begin the actual paint job. Painting ceilings or wall painting might seem like a task that is simple enough, but there is a lot that can go wrong during the course of the paint job. Your painting contractor can accidentally stain you carpet, drop a ladder on your car, break a chandelier or window, and many other possible scenarios. For this reason, it is important that you invest in a painter that can provide you with liability insurance and a valid lead certification in case any of these mishaps occur. This way, you will be able to save yourself from any future headaches and you will be more assured that your contractor will be extra careful while carrying that bucketful of paint.